The mornings start early here, 11pm your time. Neal is the first to rise, the coffee is on the boil, and we start preparing for the day. We have a short time to make a difference in these Pastor’s lives, all of us are anxious to do the best we can. 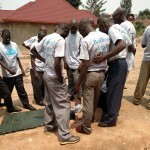 It is a privilege to have this opportunity to make a real difference in 40 to 60 Rwandan communities. Last night we left a solar panel, lights and phone charger with two pastors. The solar system is pretty simple, the panel connects to a controller and then battery. As long as the solar panel is in the sunlight, it is charging at a nice clip. The pleasant surprise was that the battery was charging even with thick clouds in the sky. Simple – you take off the battery from the solar controller – and then plug in the lights/phone charger to light the rooms and charge their phones. Good news – we got a thumbs up from the pastors this morning. Today, we brought a second solar panel, with more lights. We have asked them to really exercise the system tonight to find any hidden bugs. It is looking good. Jerry gave an amazing devotional story this morning. Two nights ago Jerry had a dream. In his dream he saw a close friend that had died several years ago, this woman had long ago brought Jerry back to Christ. This friend was standing with a small girl named Lilly. Last night Jerry was on the phone and started crying. Jerry and Lynne have been wanting a child for some time. Jerry just learned that there is a baby girl, named Lilly that is available to be adopted. God has answered their prayers. A strange but very cool story. Yesterday I taught 1 John Chapter 2 to the pastors, it is interesting speaking through an interpreter. I modified the teaching to better meet the Pastor’s needs and match the interpreter’s cadence for teaching the Chapter 4, to include definitions for “Worldliness” and “Love”. It was nice to receive an applause when the teaching was completed. Neal instituted a new practice for lunch – he has asked four pastors to join us at our table, to tell us about themselves, their family, their struggles. Good conversation. Most of these men have 7-11 children and live in very small houses. One product of the marriage retreat that we sponsored in past years – they now spend much more time with family – vs. only spending time on the road for the church. Their wives are also much more a part of their ministries. This is good. Pastor Neal completed the 1 John teaching Chapter 5, with usual skill – he makes it look so easy. At 3pm, the pastors are getting pretty sleepy, a BIG lunch and sitting in a chair 8-hours a day – when they have not been in a class room in 30 years. The lollipops come out and they are re-engaged. Jerry and Neal started the new topic – the tasks of servant leadership. How to build up the church. It isn’t enough just to preach and pray. How do we organize to grow the church? 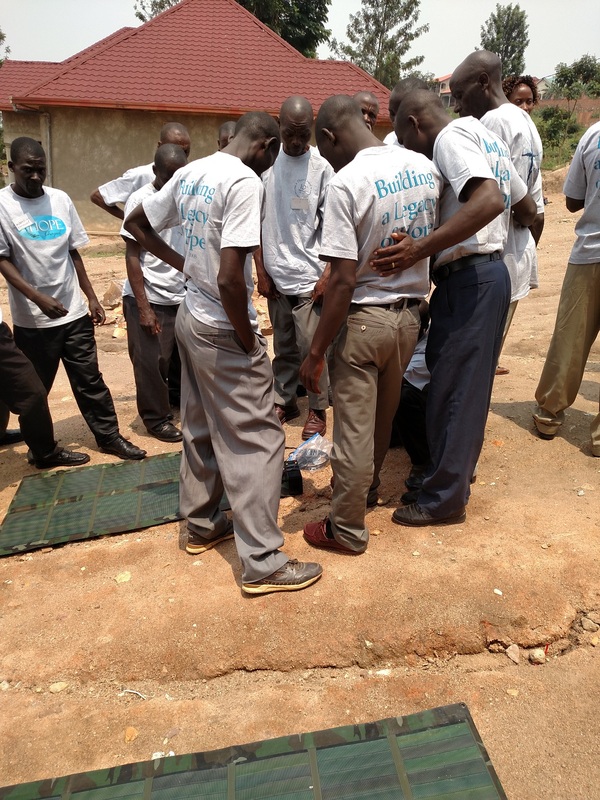 How do we mobilize believers to serve? What steps do we need to take in solving problems? We are wading slowly into this topic, for some this is a very alien idea – pray for us! Please! Time for the group photo – then off to home. On the way, we stopped for coffee. Jerry purchased several bags of coffee, tea and honey. 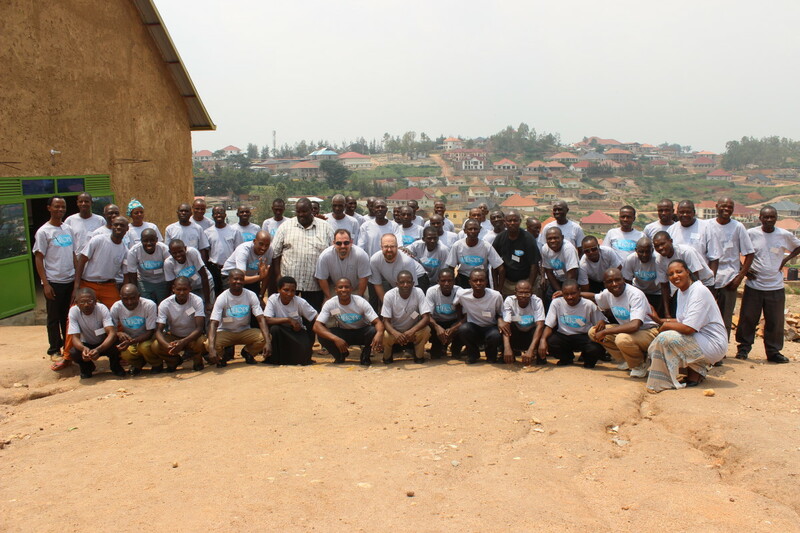 The total came out to 18,000 Rwanda Francs. Jerry gets into the car and says he got a wonderful discount – only paid 12,000 Francs. This boy seems to have unusual luck. Tomorrow we work in earnest to help the team find new ways to plan for success. Glad all is well. Jerry’s story has brought tears to my eyes. Had to write and wish congratulations to you both, Jerry & Lynn. This and all your posts just go to demonstrate God is working so richly in our lives. Stay well all and thanks for all your devotion and hard work! I just read the 2/10 post, at my desk during lunchtime. Everyone is wondering what I’m so excited about!! 🙂 Jerry, can’t wait to hear about everything first-hand. Safe travels home!!! The blessings flow !!! Such exciting things going on. Praying for the team.